57 female with larger painful bunion on right foot. 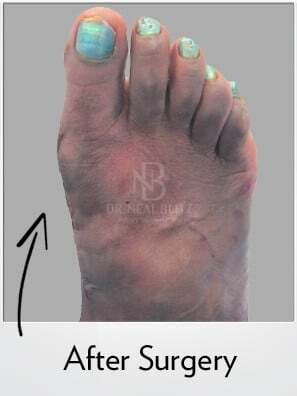 A Bunionplasty® procedure was performed by Dr. Blitz. This patient was allowed immediate weightbearing in a surgical shoe (No Cast No Crutches™). Dr. Blitz used the Contours Lapidus Plating System.